The Christmas quilt along is off to a fantastic start! More than 250 people completed Block 1 since it was released two weeks ago! 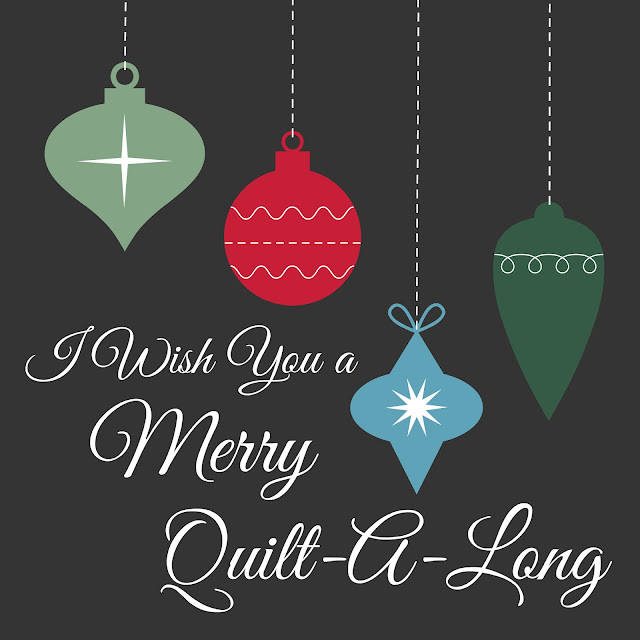 Now it's time for Block 2 of the I Wish You a Merry QAL! 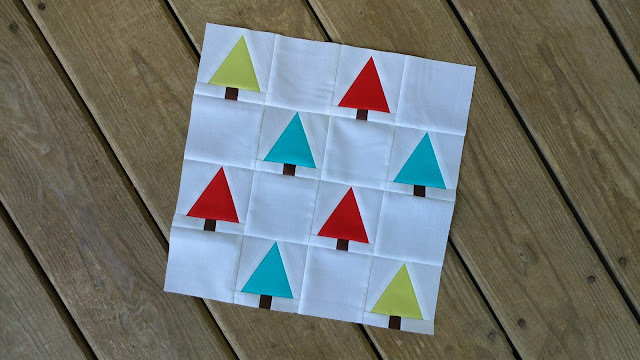 The Christmas Tree Farm block was designed by April Adams at JANDA Bend Quilts. She lives on a Christmas Tree Farm! The pattern and tutorial are on April's blog (tutorial here). 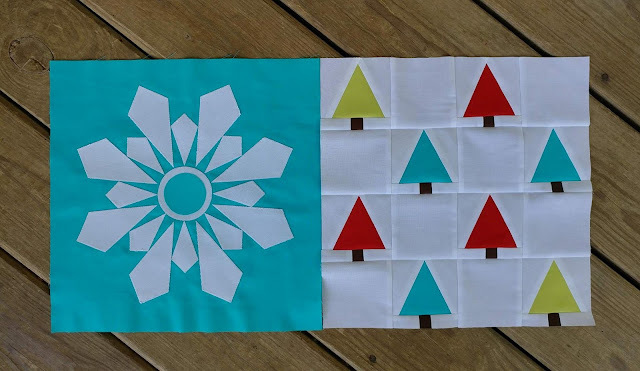 April gives two options for constructing the trees in her block - either with templates or by foundation paper piecing. 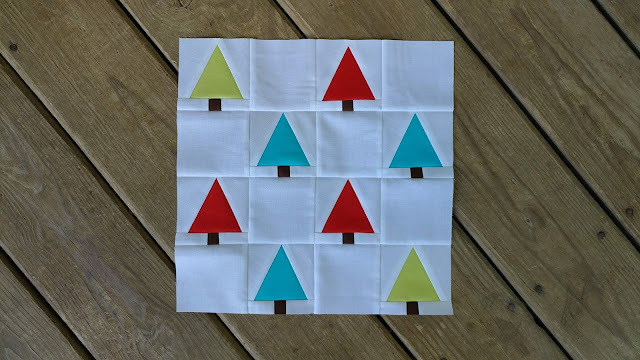 I chose the paper piecing option just for the tree tops. I used April's strip piecing method for the tree trunks. I wanted to use all three of my fabric colors (Kona Breakers, Lipstick, and Cactus) for this block. I used Kona Chocolate for the tree trunks. The block finished at exactly 12 1/2", so no trimming was needed! I really love how Block 1 and Block 2 look together! Be sure to share a picture of your finished Tree Farm block before August 29th to be entered to win prizes! 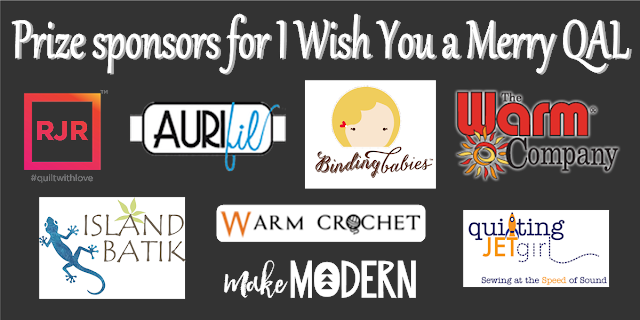 You can post a picture in the Facebook group, on Instagram using #iwishyouamerryqal, or link up to the linky party at the bottom of April's tutorial post. 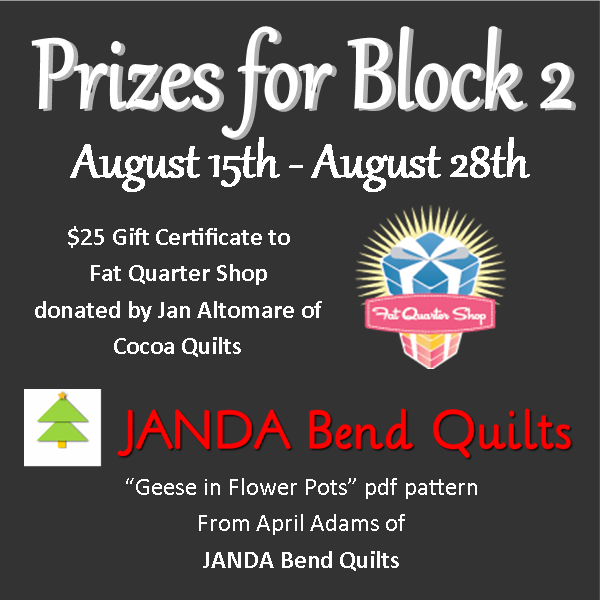 The prizes for Block 2 are a $25 gift certificate to Fat Quarter Shop donated by Jan Altomare of Cocoa Quilts AND a digital "Geese in Flower Pots" pattern from April at JANDA Bend Quilts! All prizes during the QAL will be open to participants worldwide! 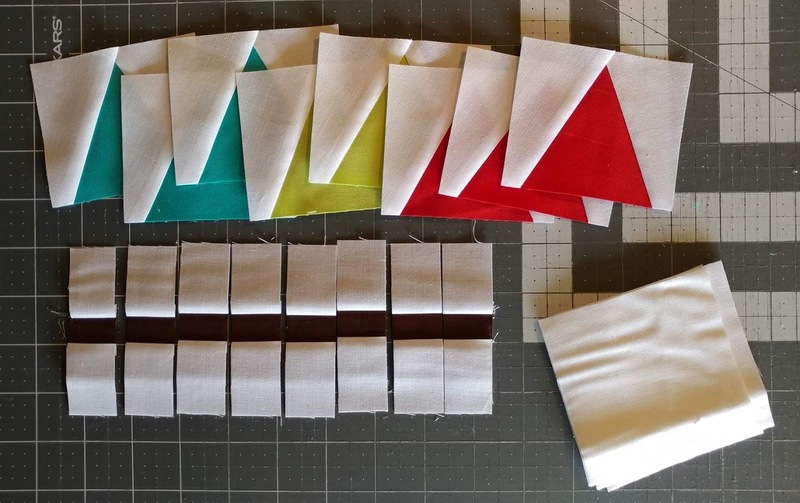 Be sure to look at all the different versions of Block 2 made by the QAL hosts! 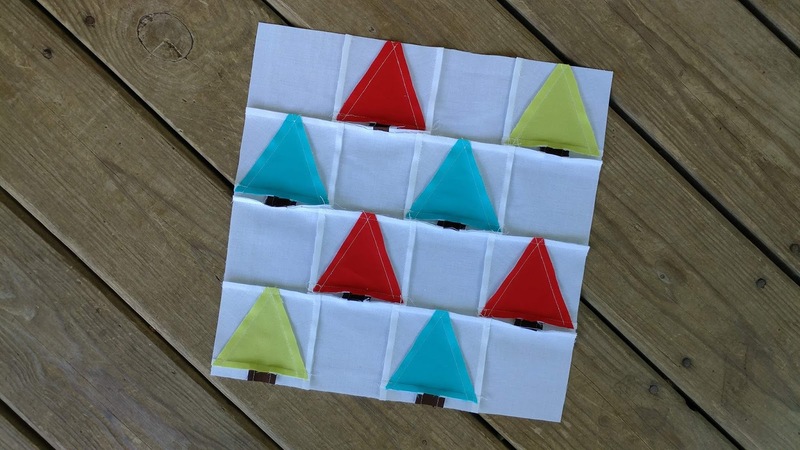 Linking up with Main Crush Monday at Cooking Up Quilts, Monday Making at Love Laugh Quilt, Linky Tuesday at Freemotion by the River, Midweek Makers at Quilt Fabrication, Wednesday Wait Loss at My Quilt Infatuation, Let's Bee Social at Sew Fresh Quilts, Needle and Thread Thursday at My Quilt Infatuation, Can I Get a Whoop Whoop? at Confessions of a Fabric Addict, Finished or Not Friday at Busy Hands Quilts, and TGIFF at A Quarter Inch from the Edge. Your version is terrific, Laura. Many thanks for all the work you are doing on this QAL! I love your block! It's so fun and whimsical. I love the way your solid colors are working! Love your colors!!! This is going to make a great sampler Christmas quilt!!!! So cute! You choose great solid colors for the trees - they're very fun! Thanks for sharing on Midweek Makers today. Love the colors you're using! So bright and cheery. 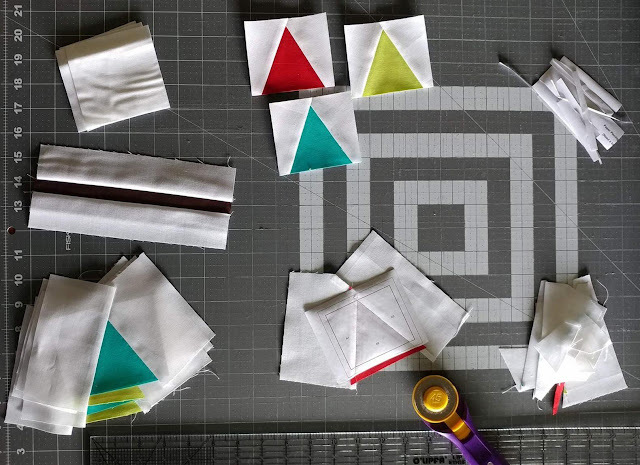 Your final quilt is going to be amazing! Thanks for linking up to Wednesday Wait Loss! What a cute block. I agree with you the paper piecing of the tops of the tree is really well done. That is a cute block! I totally love these little trees! Pattern downloaded...now to find the time! Thank you for sharing! great block. A Christmas tree farm sounds like my type of farming, no scary big animals! What a cute block. It's great that two options for construction are offered, too! Ack! This is the trouble with hosting TGIFF! 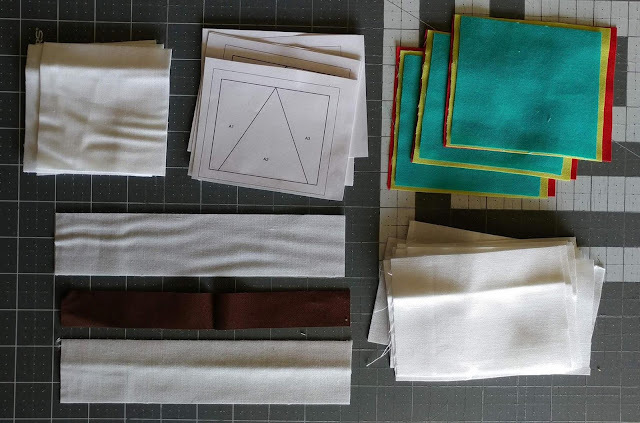 I end up finding a pile of projects and QALs that I can hardly resist! Thanks for linking up!